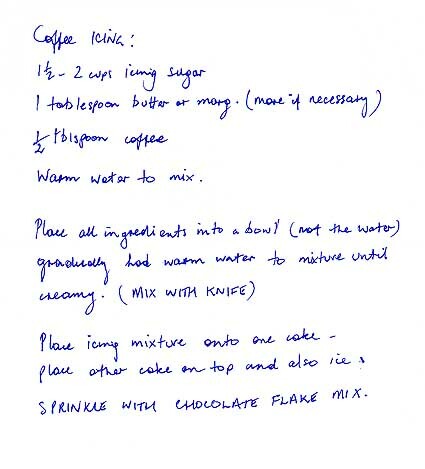 I found this coffee cake recipe in my late mum’s cookbook, so I have no idea where it originally comes from. I made it a few years ago, in loaf tins, with chocolate icing. I personally don’t like coffee flavour so I haven’t tasted this one. Coffee drinkers seemed to approve! 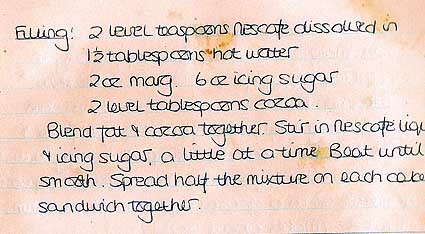 Today, I used a different version of the same recipe; it was given to me by Liz, who was a good friend of my mum. 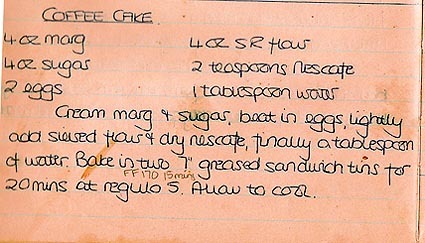 My mum gave her recipe to Liz sometime back in the 1980s, when we were next-door neightbours. 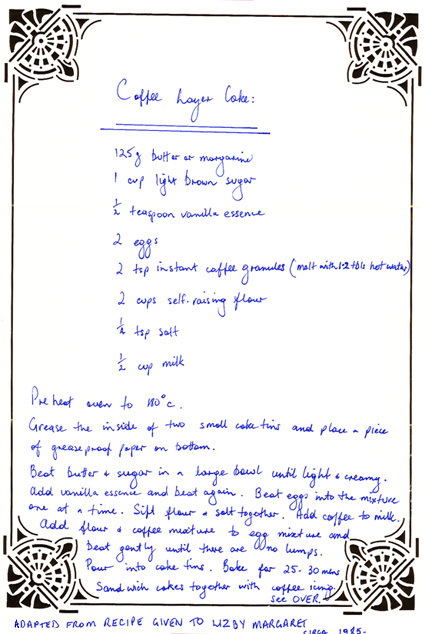 Liz has modified the recipe slightly over the years. Back in March, before I got married, my cousin/bridesmaid held a kitchen tea for me. Each guest was asked to bring a recipe to add to my collection. 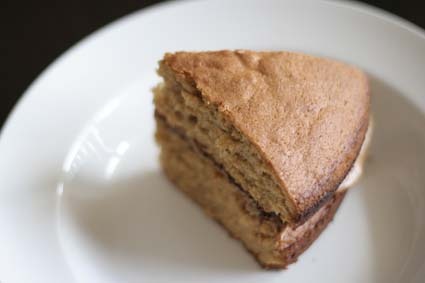 Liz gave me this coffee cake recipe, along with the cake tins, serving plate, instant coffee and Cadbury flake to make it. I’m sorry Liz had to leave the kitchen tea early and didn’t get to see my open her gift. There were tears! My husband/taste tester says the cake is light and moist. Today, I did not ice the top — only between the two layers — and served it warm, with vanilla ice cream.